Through its Rainin brand, METTLER TOLEDO is a leading provider of advanced liquid handling solutions for life scientists worldwide. We offer a wide selection of ergonomic manual pipettes, electronic pipettes, multichannel pipettes, BioClean LTS and universal pipette tips and expert pipette services. 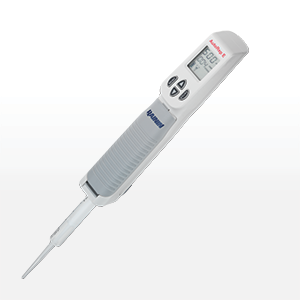 It is a complete pipetting solution that we call Pipetting 360°. 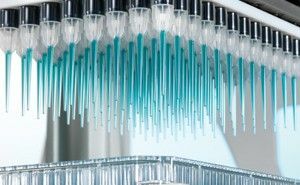 Our commitment to quality, innovative design and state-of-the-art production result in superior pipette products that deliver years of reliable operation. Rainin developed the LiteTouch System (LTS) to increase the accuracy and precision of pipettes while decreasing friction, making Rainin pipettes a leader in pipetting ergonomics. The risk of repetitive strain injuries (RSI) is greatly reduced when using ergonomic Rainin LTS pipettes and tips. Mettler-Toledo Rainin's Good Pipetting Practice™ (GPP™) online and in-person seminars are a risk-based, comprehensive and systematic approach to maximizing pipetting accuracy and repeatability. 1. What is a pipette? Pipettes are handheld instruments commonly used in academic, biotech, pharmaceutical and other labs to transfer precise amounts of liquid from one container to another. Pipettes range from very basic graduated glass tubes to sophisticated precision instruments capable of aspirating and dispensing liquid in increments as small as a fraction of a microliter. 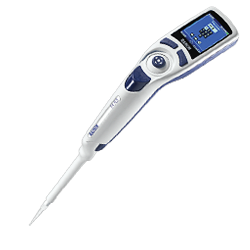 The most common pipette used in life science labs around the world is the single-channel air displacement pipette. 2. How does a pipette work? 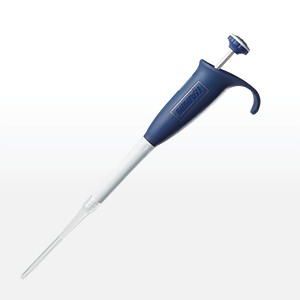 There are two basic pipette types, positive displacement and air pipettes. Modern pipettes work with a piston-stroke principle – Liquid is measured using a piston-cylinder system in the handle of the pipette. When the piston is depressed and then slowly released, the movement of the piston creates a vacuum in the disposable pipette tip and thus draws liquid up inside the tip; this process is termed aspiration. Since the piston is a long way from the liquid sample, the air cushion between the piston and liquid can have a number of effects on the accuracy of this process, depending on the liquid type. Pressing down on the plunger that had a tip full of liquid expels the liquid out from the tip; this is termed dispensing. Positive displacement pipettes work on a similar principle, however the tip of the positive displacement system contains its own piston and hence there is a minimal air cushion between the piston (that is part of the tip) and the liquid surface. Positive displacement pipettes are commonly used for samples of high viscosity (e.g. glycerol) or high vapor pressure (e.g. volatiles like alcohol), while air-displacement pipettes can be used for a large portion of laboratory applications. 3. What is the LTS LiteTouch System? 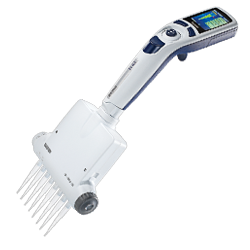 The LiteTouch System (LTS) is a design feature in Rainin pipette tips. LTS was invented by Rainin and provides an effort-free way to load pipette tips and reduces tip-ejection force by up to 84%. Tip ejection is the leading pipette-associated cause of repetitive strain injury (RSI). LTS also provides a greater channel-to-channel consistency in multichannel pipettes. 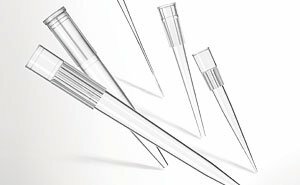 The cylindrical pipette-shaft end and matching tip cup produce a reliable, consistent seal without excessive force. LTS tips feature a ring-shaped seal and flat, round shelf that provides a positive "stop." This stop lets the user know when the seal is made and makes it impossible to jam or pound the shaft into the tip – a common problem with conical-shaped tips that are typical with universal (UNV) pipettes. 4. 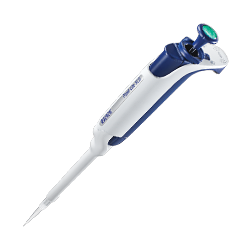 Why do pipette ergonomics matter? 5. What are pipetting accuracy and precision? 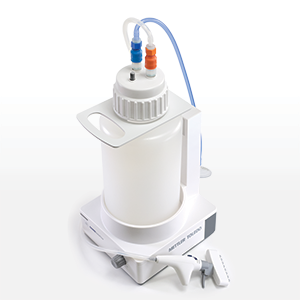 Accuracy is the ability of a pipette to deliver the volume specified on the volume setting. In other words, the trueness of a measurement to the true value. Precision is the ability of a pipette to consistently deliver same-sized volumes of liquid over multiple aliquots. For example: a pipette can be precise with regard to dispensing the same volume time after time, yet inaccurate because it fails to dispense the correct volume. An accurate and precise pipette dispenses volumes at the intended volume with each dispense. 6. How to pipette accurately and correctly? 7. What is pipette calibration? Pipette calibration refers to testing a pipette's precision and accuracy and resetting it to the manufacturer's specifications if it is out of range. The most common method of pipette calibration is the gravimetric method, which involves pipetting distilled water onto an analytical balance and weighing it to assess the accuracy of the measurement. With the Rainin E4 XLS+ Single Channel Electronic Pipette, METTLER TOLEDO has set the standard for simplicity and performance in electronic pipetting. 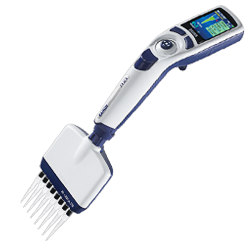 Multi-dispense, mixing and other pipetting modes on the E4 XLS+ multichannel pipette are easy to use and minimize setup time for high throughput work. Reduce up to 98% of your pipetting steps when transferring multiple samples between plates, tubes and other vessels. Made from 100% virgin polypropylene in a fully automated, Class 100,000 clean room facility, Rainin tips provide excellent clarity and flexibility for accurate touch-off. 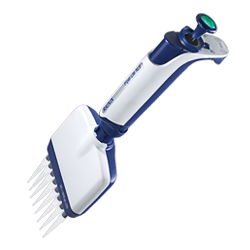 From completely manual to semi-automated, Rainin 96/384-well pipettors and consumables deliver outstanding performance. Through its Rainin brand, METTLER TOLEDO is a leading provider of advanced liquid handling solutions for life scientists worldwide. 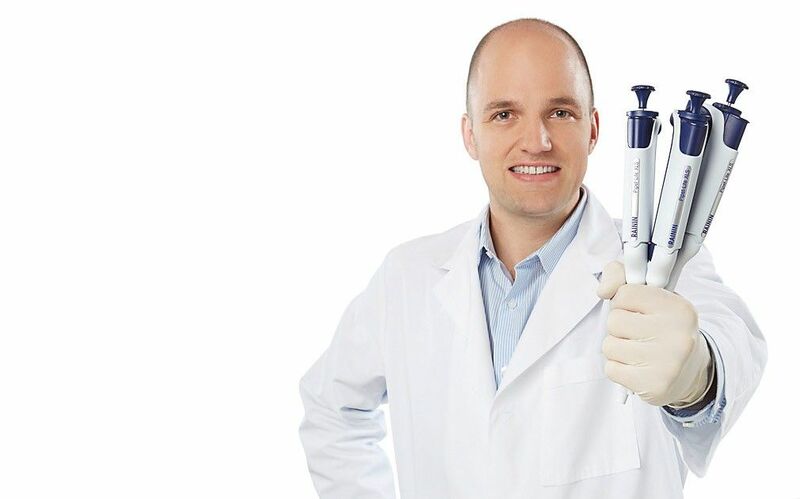 We offer a wide selection of ergonomic manual pipettes, electronic pipettes, multichannel pipettes, BioClean-certified LTS and Universal-fit pipette tips and convenient, expert pipette service. 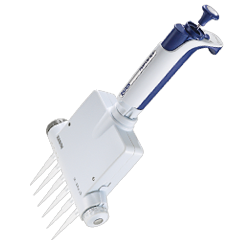 The Rainin LTS LiteTouch System protects pipette users by making tips practically effortless to load and reduces the force required to eject the tips by up to 85%. Improve your data quality with Good Pipetting Practice™ (GPP™) – METTLER TOLEDO’s comprehensive, systematic approach to maximizing pipetting accuracy and repeatability. GPP covers many topics relevant to life science researchers or anyone using pipettes regularly. For special applications and difficult liquids, Rainin offers specialized high-quality tools to optimize liquid transfer. 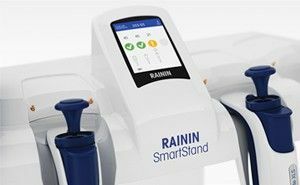 From positive-displacement and repeater pipettes to serological pipet-controllers and large-volume liquid dispense, Rainin has the right tool for your liquid handling application. Rainin tips for all major pipette brands are certified BioClean. Search by brand, model and volume range to find the perfect tip! Sign up now to receive your Good Pipetting Practice Poster today. You can order a complimentary copy of the ergonomics 'Stretch' poster: It's full of easy exercises that will take the pain out of your lab work. The Rainin product catalog contains detailed information on all our pipettes, tips, specialty products, and service offering. Additionally, it features background information on pipetting mechanics, manufacturing and selection. Improve your data quality with Good Pipetting Practice™ (GPP™) – METTLER TOLEDO’s comprehensive, systematic approach to maximizing pipetting accuracy and repeatability. The LTS cylindrical design produces a reliable, consistent seal without excessive force. LTS tips are thin-walled and incorporate a small, well-defined seal area and a positive stop. No need to “jam” or pound the shaft into the tip. Recognize the risk associated with out-of-calibration pipettes and the role of routine checks vs. professional service. Boost the accuracy and reproducibility of your data by understanding workflow-related risks and how to mitigate them. Take five minutes to run through our GPP Risk Check and see where risks lie in your work and workflow. METTLER TOLEDO has a comprehensive seminar offering around GPP and risk management in pipetting. Our GPP experts will train you and your team right in your lab. Just fill in the request and we will get back to you to discuss the details. If you prefer to learn at your own pace, you can access our GPP seminars in online eLearning sessions. It's a great opportunity to get new users pipetting quickly, or it can be a refresher course for experienced pipette users.